AW, man. I’m definitely going to try that one. I love your recipes. This is a great summer dish that I’ll have to try out. This is the first time I’ve ever come across this dish outside of what I have from my Maw-Maw. She used to make this regularly. 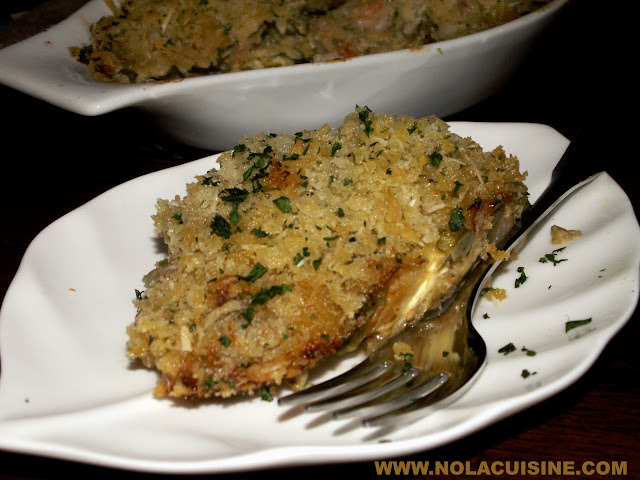 Served it over rice or she would do it as a casserole, with Italian breadcrumbs over the top. Hers was much simpler than yours: chopped & boiled eggplant (we didn’t care about seeds), the trinity, parsley and S&P. And shrimp, of course. I’ve introduced this to many of my clients here in Atlanta and it’s always a great hit! Love your blog. Your recipes are of the few that I can prepare without needing to add my own touch! I think what you do here is very important for our culture. Keep up the great work!! I made this — it was delish! We love, love, love this recipe. 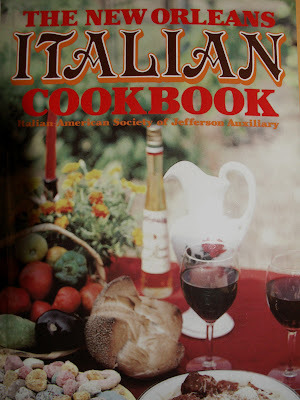 We had a version at Couchon and then searched for a recipe. I’m so glad we found this one. We’ve made it for ourselves and for a huge Cajun Christmas party and it was a huge it. So great. This looks good! I can’t wait to try it!